Replacing a lost employee can cost upwards to thirty, even forty percent of the salary of that employee. These are hidden cost that has a tremendous impact on your bottom line. To get an even better estimate of the cost of employee turnover, we must also add in lost sales, lost productivity, low morale and lost management time consumed by problem employees. We estimate that managers spend 80% of their time managing the problem 20%. Think of the savings in management time and dollars if you could avoid hiring the problem 20%. CTI can evaluate your company and identify the problems associated with high turnover and low productivity. 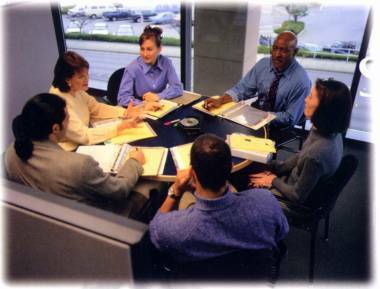 We work with your management and staff to implement a TEAM BUILDING process that improves morale and productivity. You benefit with improved PROFITS. Call today to schedule a FREE consultation from our management staff. In today's highly competitive corporate environment you need every advantage possible over your competition if you are to succeed. Let us prepare you to be the leader in your industry and launch you into the 21st century.